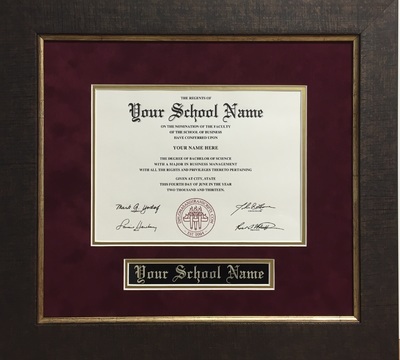 Whether you are a recent graduate, or simply have never framed your diploma, now is the time to take advantage of Frameworks Picture Framing Studios Diploma Frame Special. 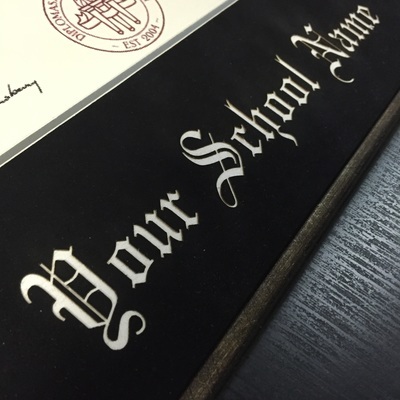 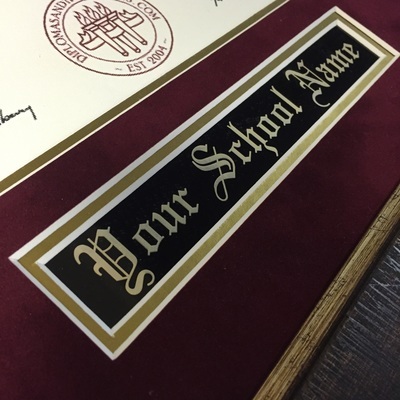 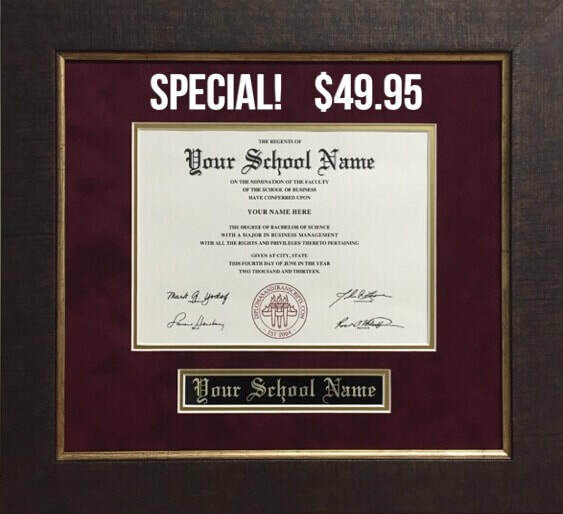 For only $49.95, we will custom frame your diploma so you can proudly display it in your home or office. 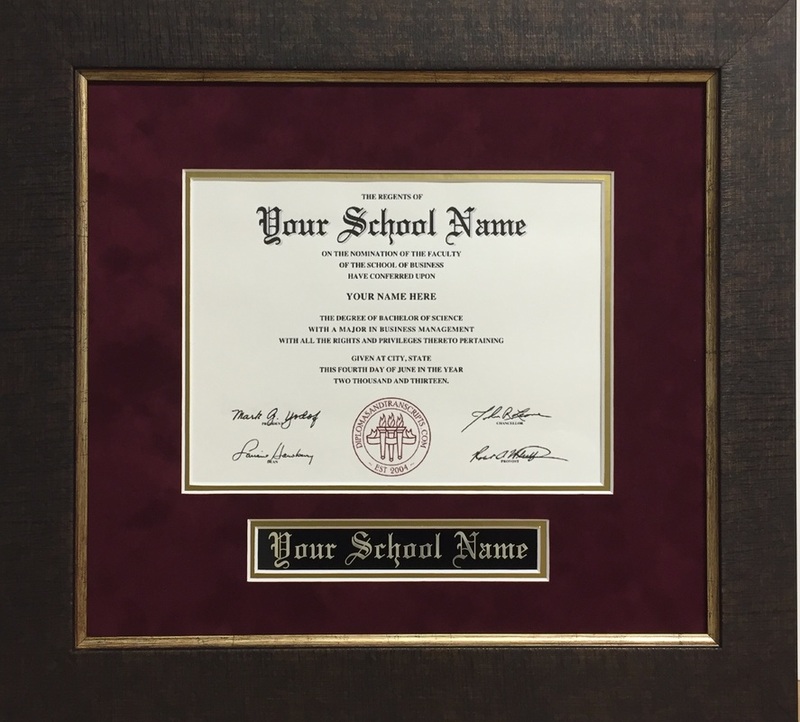 Choose from 2 of our everyday in-stock frame mouldings, a wide variety of in-stock matboards; including suede and metallic styles, as well as the option of a engraved aluminum plate or matboard peel with your schools name. 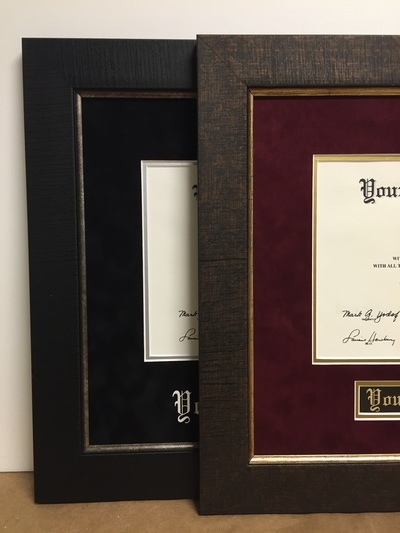 2 mouldings to choose from. Moulding upgrades available. Choose a double mat from a wide variety of in-stock matting. 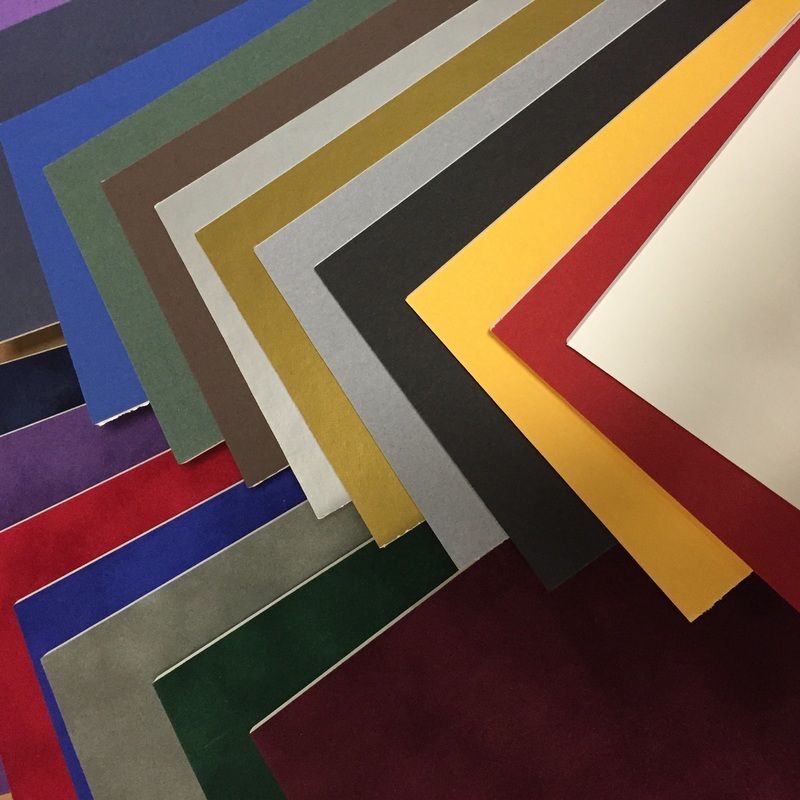 Includes suede & metallic options. 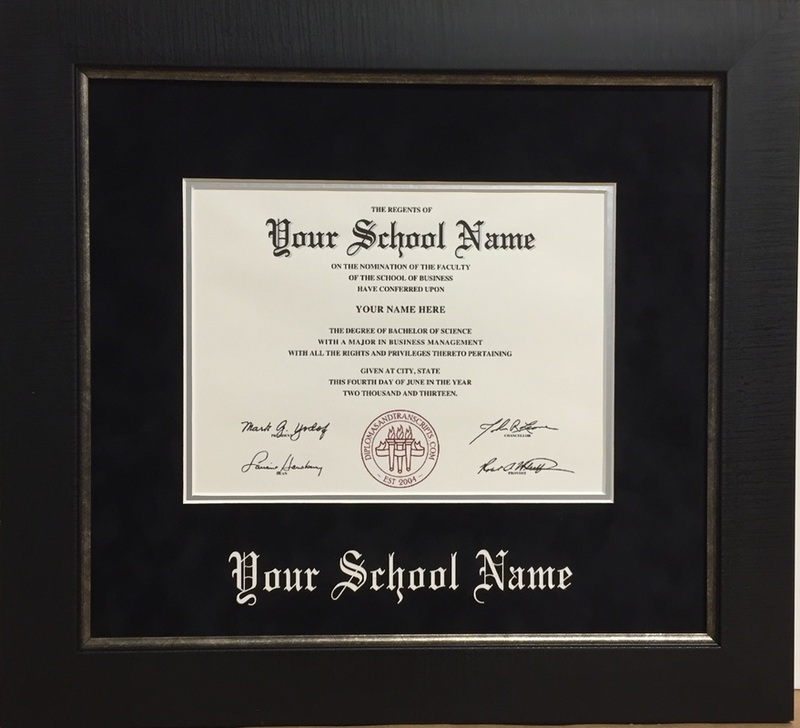 Option to have your schools name laser engraved on an aluminum plate. Option to have your schools name "peeled" on the top mat.